A full day of music, two stages, band workshops, local music video showcase, hotline empathy experience, and food take over the VAC for a fundraiser benefiting both the Boise Hive and the Idaho Suicide Prevention Hotline. 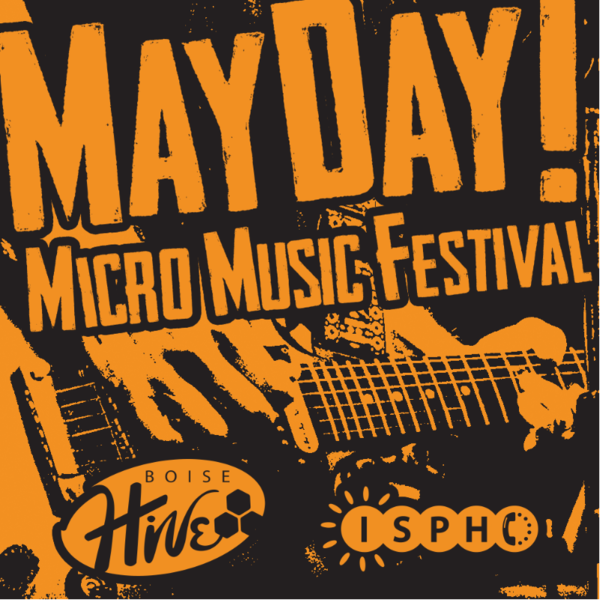 Proceeds from the MayDay Micro Music Festival equally benefit both nonprofits; so both organizations can spread their shared mission of increasing awareness of the high instances of suicide, mental health issues, and substance abuse in Boise’s music community. The Treasure Valley has a highly diverse music community that spans all tastes and mediums. The Hive and ISPH want to celebrate this diversity by featuring musical acts spanning from rock and metal to folk and indie. One stage is outdoors, allowing for all-ages to enjoy the music as well as have a continuous stream of live music performances to fill the day. A showcase of music videos from local filmmakers as well as art installations from local musicians Bruce Maurey and Storie Grubb bring a visceral representation to our flourishing and vibrant music community. “It’s crazy to me that more bands don’t have even a halfway-decent music video to back these amazing recordings,” says Tonic Room Studio owner and Boise Hive Executive Director Jason Ringelstetter. Because it seems like a lot of bands could benefit from some guidance to get started on managing and promoting themselves, two band-centric workshops focused on band management and making music videos start the day off at 2:00 pm. Immerse yourself in the amazing art our community creates on Saturday, May 6 at the Visual Arts Collective in Garden City, ID. A $5 donation benefits the Boise Hive and Idaho Suicide Prevention Hotline.